RIO DE JANEIRO, Sep 28 2012 (IPS) - More intense rainfall, rising temperatures and climate-driven migration of human and animal populations due to repeated drought all affect the spread of tropical diseases. These changes, already the focus of study by climatologists, are now also a challenge increasingly taken up by health experts and officials. The impact of climate change on human health generated debate among the experts attending the 18th International Congress on Tropical Medicine and Malaria, held Sept. 23-27 in Rio de Janeiro. On one side of the debate stands researcher Ulisses Confalonieri, of Brazil’s state-run Oswaldo Cruz Foundation (Fiocruz), who argues that the press often oversimplifies a very complex issue. Tropical diseases, which affect many developing countries, “represent an enemy that takes advantage of social and economic fragility,” according to the organisers of the congress: the International Federation for Tropical Medicine (IFTM), the SBMT, and Fiocruz. These diseases are caused by viruses, bacteria and parasites, and affect more than one billion people, mainly in the tropics, where the most vulnerable developing world populations are concentrated. But the map of tropical diseases like malaria, Chagas’ disease, sleeping sickness, leishmaniasis, schistosomiasis and dengue fever, is starting to change. Tropical diseases transmitted by vectors like mosquitoes, flies, ticks or snails are directly affected by conditions in the ecosystems they inhabit, such as changes in humidity, water levels, temperature or rainfall, experts explain. “Global warming is ‘tropicalising’ subtropical regions; rising temperatures could bring an explosion of parasite and insect vectors that are expanding into North America, the Southern Cone of South America, Australia and New Zealand,” Costa Nery said. One sign of this, said the president of the SBMT, is the spread of leishmaniasis in Europe by travelling persons and dogs. He explained that the disease, which is endemic in southern Europe, could continue to spread northward if temperatures keep rising. At the same time, climate variation in the tropics and its effects on the frequency of flooding and drought “could also modify the dynamic of the transmission of diseases,” with the emergence of vectors that alter the population’s immunity and resistance. Flooding, for example, can favour the spread of insect-spread diseases like yellow fever, dengue or malaria. “This affects the ecology of insects,” Costa Nery said. Drought has a more indirect impact. Because of the resultant food shortages, people become more vulnerable to infectious agents such as the tuberculosis bacterium. In Northeast Brazil and other regions of Latin America, and in Africa, drought also fuels the rural exodus of people, which triggers a chain reaction. As cities are unable to provide for the flood of new arrivals, slums grow up on the outskirts, where the lack of sanitation, clean water, and proper garbage disposal creates a breeding ground for disease, “both infectious and non-infectious,” Costa Nery said. He added that while the role of climate change in some of the effects seen in the realm of disease is still speculative, it has been documented in some instances, such as the case of leishmaniasis in Europe. However, there is agreement among experts that the phenomenon is difficult to explain in an isolated manner. In the case of leishmaniasis, factors to be taken into account include the international circulation of air, land and maritime transport vehicles, which can “carry vectors or infected individuals,” Costa Nery said. Confalonieri acknowledged that the behaviour patterns of many tropical diseases have changed in the last few decades. Visceral leishmaniasis, or kala azar, a disease typically found in rural areas, is now commonly seen in urban areas. And Chagas disease, which is basically transmitted by the vinchuca or kissing bug, can now also spread through the consumption of uncooked food contaminated with the faeces of infected bugs. “It is necessary to study not only the climate, but other environmental factors as well,” such as deforestation, garbage treatment, the conversion of natural vegetation, the mobility of the population, socioeconomic factors, and sanitation, as well as changes in agricultural production and eating habits, said Confalonieri. The Fiocruz scientific researcher said the challenge today is to determine whether the climate changes seen so far have actually been a factor in the changes observed on the health front. But the few studies carried out have been isolated, he said. 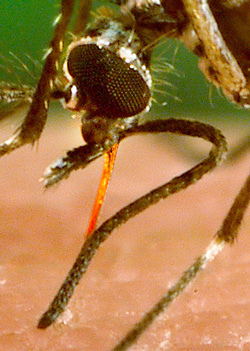 One study, led by geographer Francisco Mendonça of the Federal University of the southern Brazilian state of Paraná, focused on dengue fever, transmitted by the Aedes aegypti mosquito. The team observed that there were three dengue epidemics in southern Brazil in the last decade, which coincided with the hottest years. In the past, conditions in that subtropical part of the country were not conducive to the breeding of the Aedes aegypti mosquito, which needs warm temperatures. “This means dengue could expand more if temperatures rise,” Mendonça told IPS. Mendonça’s team also created an early warning system, to alert the population about the risk of a dengue outbreak, based on weather conditions, especially high temperatures and the frequency and intensity of rains. The early warning system, which posts updates on a government web site, indicates which periods are more favourable to the breeding of the Aedes aegypti mosquito and to the spread of the virus causing the disease, which can be fatal in its most severe, haemorrhagic form. Based on this data, the Paraná secretariat of health determines where monitoring and control measures need to be stepped up. Confalonieri, meanwhile, is getting ready to travel with a team of scientists from Peru, Ecuador and the United States to the Amazon region, to study the incidence of malaria in different settings that have been modified by human activity such as land use and the building of roads.